Gingivitis is the most common gum problem, encountered in a larger number of patients. Common treatments for gingivitis include good oral health and regular visits to the dentist who can clean plaque and thus prevent the gums from becoming infected with bacteria. Left untreated gingivitis can escalate to periodontitis and cause severe problems and even tooth loss. You can look for early signs of gingivitis and if you notice any changes in the tissue surrounding your teeth you should contact a dentist as soon as possible. Gingivitis is caused by bacteria that form in the mouth. The trigger for gingivitis is the bacteria that composes the plaque which forms on and between the teeth. However, this is not uncommon and many people who do have plaque do not necessarily develop gingivitis. Hormonal changes in the body or certain diseases that weaken the immune system can also be factors for developing gingivitis. If you notice these symptoms, one of our dentists in Bucharest can help you with a complete diagnosis and treatment plan. The easiest way to treat gingivitis is to prevent it. This gum problem can usually be managed at home by following a good dental hygiene routine: regular tooth brushing and flossing as well as using mouthwash to prevent bacteria from forming. Gingivitis is easy to treat in its early stages. A dentist will perform a professional plaque removal and he or she will recommend that you come back for regular check-ups to observe if the disease is still progressing. When gingivitis progresses to periodontitis or chronic periodontitis the dentist will need to perform other types of procedures, including surgical procedures like flap surgery, to be able to clean and restore the infected tissue. 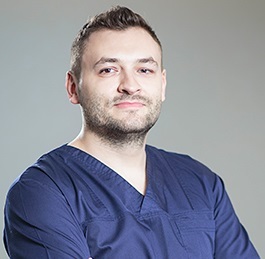 You can contact one of our dentists in Bucharest today if you would like to schedule an appointment. 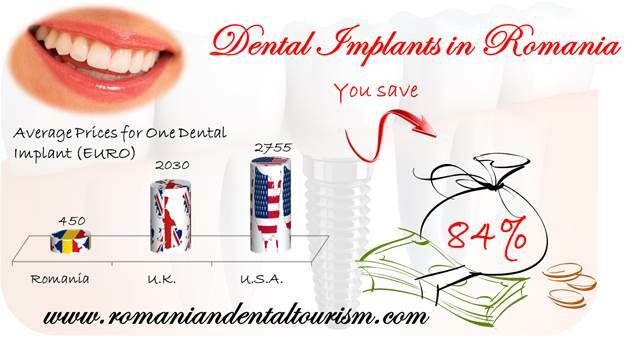 If you are a foreign patient and need to know more about dental treatments abroad, a specialist from our dental clinic will be happy to tell you more about how to plan your dental trip to Romania.